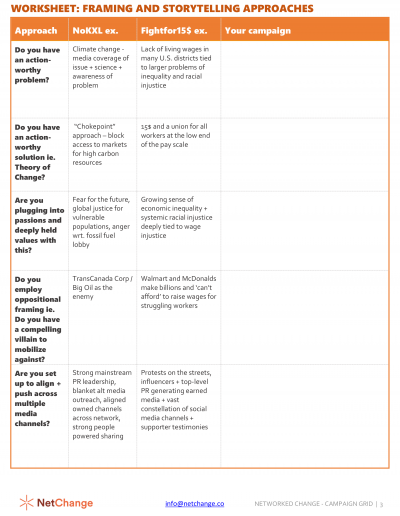 A new set of worksheets designed to help you apply the directed-network model to real-life campaign design. Want to apply the practices that lie behind today’s breakthrough campaigns to your advocacy work? 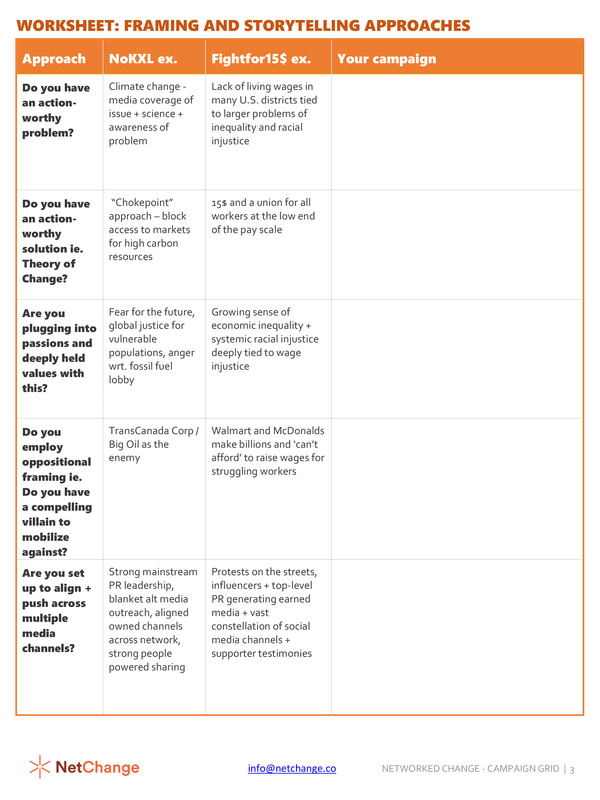 The Networked Change Campaign Grid provides a clear path for integrating top-performing approaches into your strategic planning and design process. 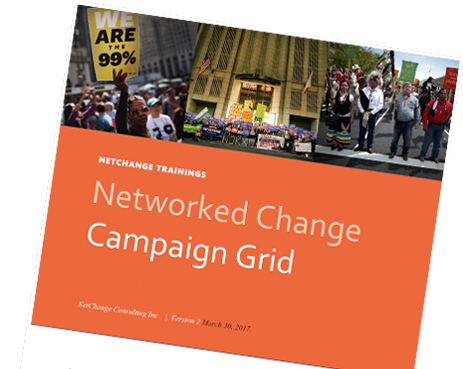 This worksheet reviews the principles of the directed-network campaigning as presented in the Networked Change Report and breaks the report principles down into concrete approaches. To show how others have made the approaches live in their work, we illustrate how the campaign to stop the Keystone XL pipeline and the Fight for 15$ run the directed-network campaign model step by step. 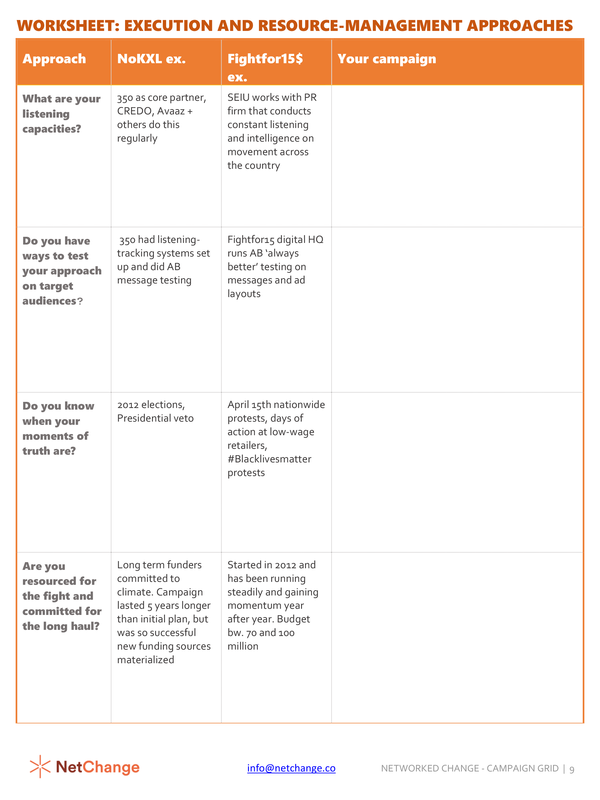 Use the worksheets within the Grid to map your existing approaches that may already line up with those of top-performing campaigns and see where your gaps are. 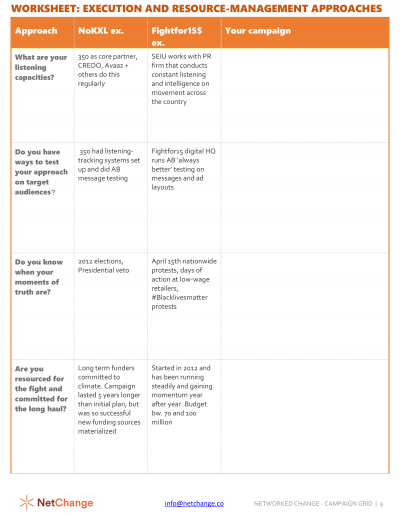 “The Grid helped ground the thinking from your report directly into our campaigns. I use it religiously for every campaign idea we explore now.” — Meredith Horowski, Campaigns Director, GlobalZero.